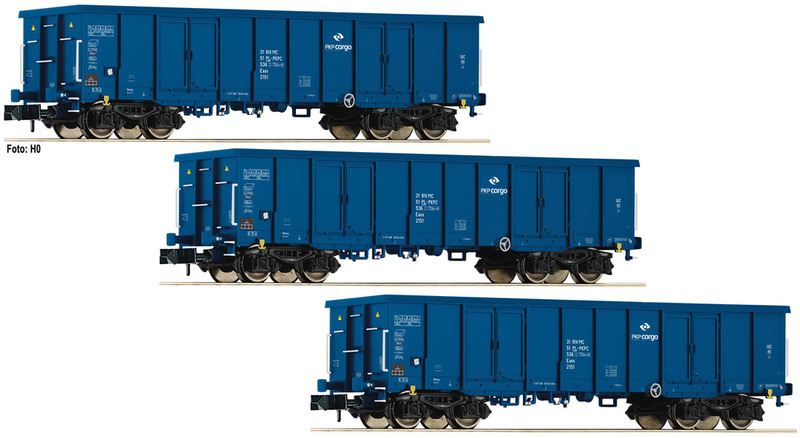 Model: 3 piece set gondolas type Eaos of the Polish State Railways PKP - division Cargo. Epoch VI. Beginner's programme. Close coupler pocket according to NEM 355 standards and close coupling mechanism. Perfectly combinable with blocktrains. The gondolas can be used also in the international traffic.